Jurgen Klopp encourages his team to place ‘heavy metal football’, so it was fitting that there was a German rock band at his 50th birthday party this week. Klopp celebrated reaching the big Five-O at a big bash attended by musicians Die Toten Hosen, according to Bild. The German newspaper claim that other guests included Klopp’s wife Ulla, his mother Elisabeth and footballers Robert Lewandowski and Mario Gotze. Lewandowski and Gotze played under Klopp at Borussia Dortmund, although both have since left. Poland striker Lewandowski now plays for Bayern Munich, while Gotze also moved to the Allianz Arena, only to return to Dortmund last year. 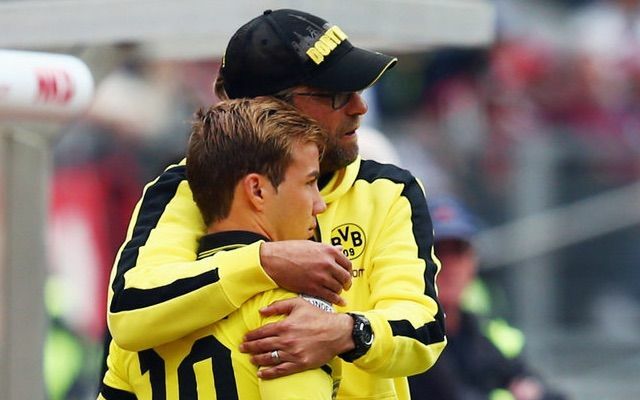 Despite only recently rejoining Dortmund, Gotze has been heavily linked with a possible reunion with Klopp at Anfield. In February this year, The Mirror reported that Liverpool had begun talks over a £20m move for the attacking midfielder, who famously scored the winning goal in the 2014 World Cup final.